This is Risa Nakamura, a student intern of America-Japan Society. 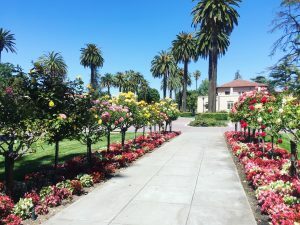 I’m a junior Social Psychology Major at University of the Sacred Heart, Tokyo, and currently studying at Santa Clara University in San Jose, California as an exchange student. 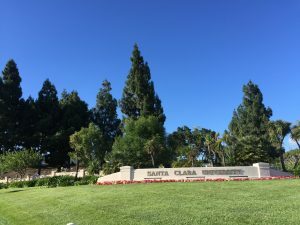 Santa Clara, which is between San Jose Downtown and San Francisco, is really close to Silicon Valley and Mountain View that is famous for the locations of headquarters of Google and Facebook. Within three months of arriving in the US, my attitude towards studying has gradually changed in a positive way. While being busy having part-time jobs and extracurricular activities, besides classes in my daily life in Tokyo, being here there is a “place to study” thanks to dorm-life in rural area, 24h library, close relationship with professors and beautiful campus with palm trees and lawn for chilling out! One of the most fascinating points of studying in the US is engaged learning. Other than discussions in classes, there is a mandatory participation to community-based activities such as food service to homeless people and ESL classes for adults for the purpose of learning stereotype/stigma, which is the main topic of sociology class I take. In the very beginning of June, I did volunteering at the event “How Will Autonomous Vehicles Change the Way We Move? 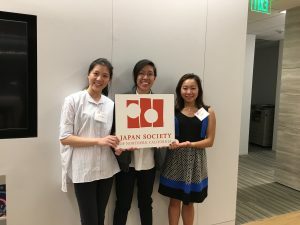 Perspectives from Japan and the US “ held by Japan Society of Northern California. 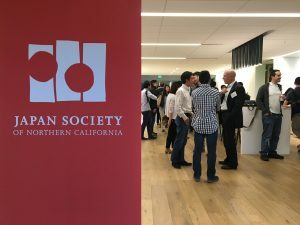 There were two speakers from TOYOTA and Stanford University, with more than 100 guests, they all seemed to enjoy networking over Japanese catered food. In Q and A session, guests were eager to ask questions related to UBER, Lyft and Zipcar, which was interesting for me as well, because I myself use UBER so often here in Cali! Those pictures were taken at the event.